Willie Bowman scored 20 points to held Twin Valley South to a 68-58 win over Bethel on Saturday, Feb. 9. 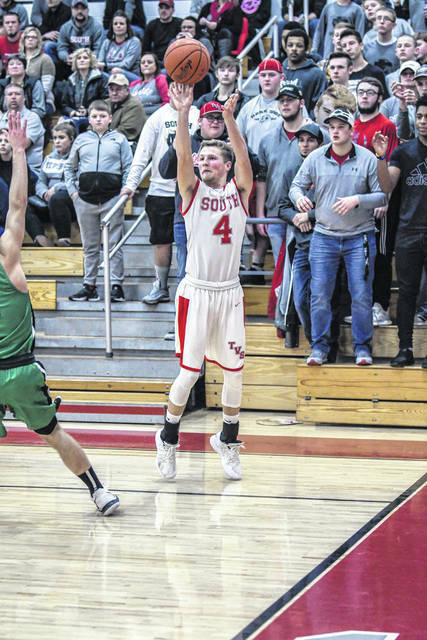 Twin Valley South’s boys basketball team claimed a share of the Cross County Conference championship with a 68-58 win over visiting Bethel on Saturday, Feb. 9. 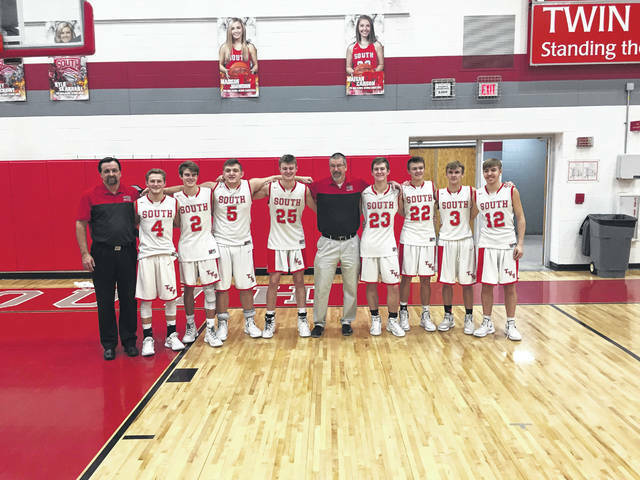 WEST ALEXANDRIA — For the first time in more than a decade, Twin Valley South’s boys basketball team has claimed at least a share of the Cross County Conference championship. The Panthers built a big lead early only to have to withstand a rally from visiting Bethel to claim a 68-58 win on Saturday, Feb. 9. The win secured at least a share of the CCC title for the Panthers. The title is the seventh in school history. South’s last title came in 2008. South appeared ready to blow the Bees out of the gym in the first eight minutes as they built an 18-point lead. Leading 10-5, the Panthers went on a 15-2 run to take a 25-7 lead with just over a minute left in the quarter. “We played an outstanding first quarter. It was offensively who we can be,” Augspurger said. Willie Bowman scored 12 of his team-high 20 in the quarter and Jayden Bassler added eight of his 18 on the night. Bethel closed to within 28-18 just over two minutes into the second quarter as South missed its first six shots. The Panthers did just enough to keep Bethel in check and led 43-31 at the half. Bethel began the third quarter with an 8-0 run to get with 43-39, but the lead never got below four in the quarter. 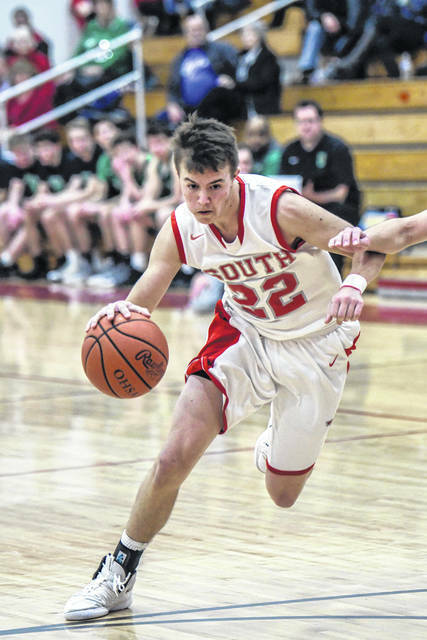 South pushed the lead back to double-digits midway through the fourth quarter then knocked down free throws in the final minute to secure the win. “I did not think we super-duper panicked, but we definitely panicked a little bit. We were pressing on shots. Jayden and Willie in the first half were just out of their minds good. Then they kind of went cold and things weren’t falling,” Augspurger said. Nate Osborn finished with 14 points with eight coming in the second half. Cole Peterson added 10. On Friday, South cruised by Bradford 80-22. The Panthers had another solid first quarter outscoring the Railroaders 29-9. They led 46-15 at the half and was up 69-20 after three. 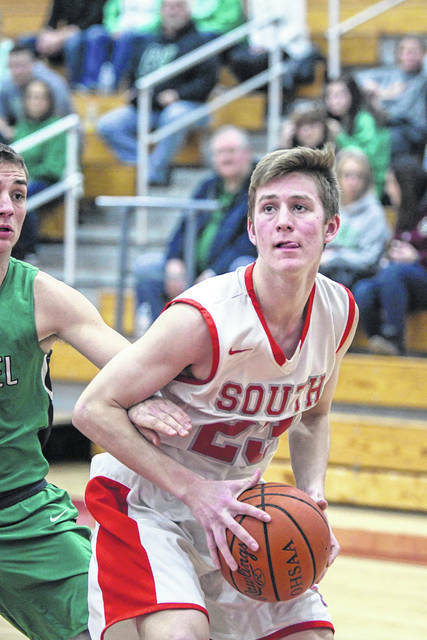 Bowman led South with 22 points. Bassler added 18. Osborn and Peterson each scored 10. 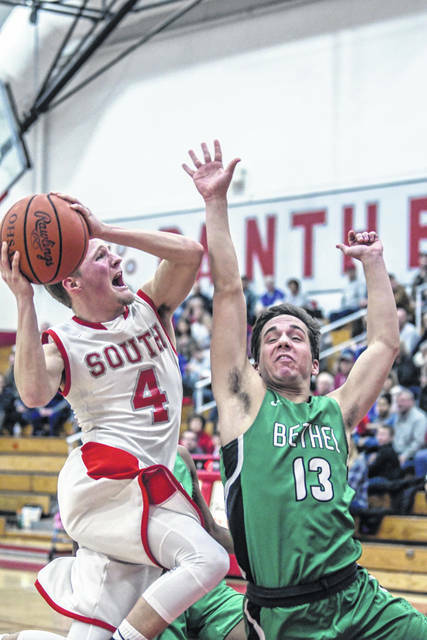 South (17-2) was scheduled to play Brookville on Monday and Carlisle on Tuesday. They will close out the regular season with a trip to Arcanum on Friday. 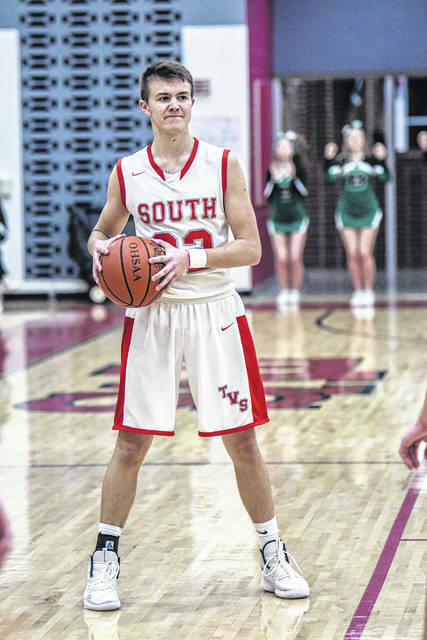 https://www.registerherald.com/wp-content/uploads/sites/41/2019/02/web1_TVSvsBethek136.jpgWillie Bowman scored 20 points to held Twin Valley South to a 68-58 win over Bethel on Saturday, Feb. 9.